Germany giants Borussia Dortmund failed to qualify for UEFA Champions League after finishing 7th in the table and Jurgen Klopp has left the club which means they have alot of rebuilding to do in the next couple of years. Borussia Dortmund will be using the same away kit for next season as 2014-15 while the their all new home kit will be released in July 2015. 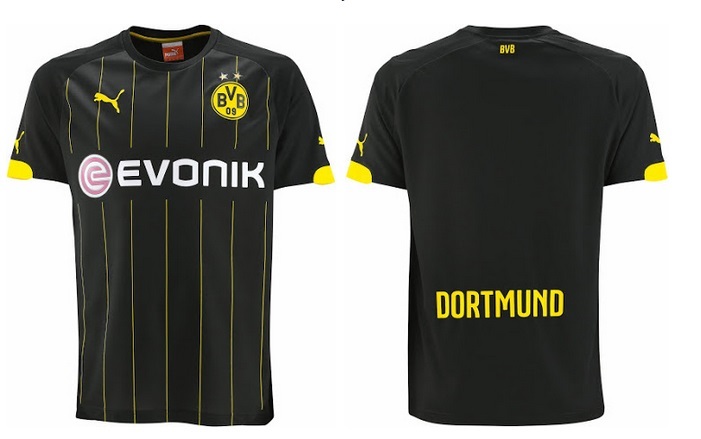 Here is the leaked images of Borussia Dortmund home kit for 2015-16. 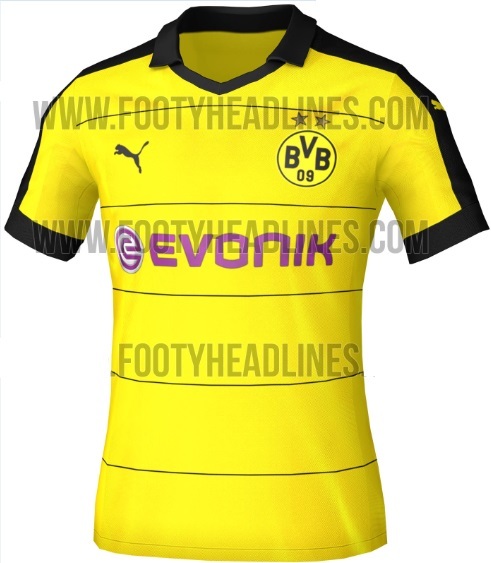 This is the draft of how the Borussia Dortmund home kit will look like in 2015-16. It comes with a traditional yellow colour with black application, small horizental pinstripes on the front of the kit while the collar will be black in polo style. The sponosorlogo “Evonik” will be in purple colour. There is a large stripe from shoulder to the end of cuffs. Borussia Dortmund will be keep their away kit from 2014-15 season to 2015-16, nothing will be changed in that regard while a third kit will also be released in the summer 2015.